Catholics in Latin America and throughout the world will celebrate the life and ministry of St. Turibius of Mogrovejo on March 23. 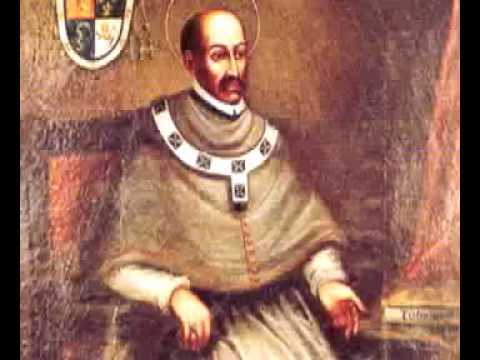 The 16th century bishop upheld the rights of Peru’s indigenous peoples, and became one of the first canonized saints of the Americas. Turibius was born in Spain during 1538, to a noble family in the kingdom of Leon. He frequently prayed, fasted, and gave to the poor even as a child, and eventually developed the daily habit of praying the Rosary along with the Little Office of the Blessed Virgin Mary. He went on to study the law at the University of Salamanca, and was eventually served as a judge for five years in the territory of Granada. His judicial wisdom and diligence drew the attention of King Philip II, who wanted Turibius – who was still a layman – to be consecrated as a missionary archbishop for the Spanish colony of Peru. Turibius became greatly dismayed, protesting to the king and Church authorities that he was not even a priest and could not possibly accept the charge. In a series of letters, he pled that he was not personally capable of serving as the Archbishop of Lima – nor, he reminded them, did canon law permit a layman to become an archbishop. Eventually, however, he had little choice but to comply. He was consecrated as a bishop in 1581, at the age of 43, and immediately left for Lima, Peru. Read more here. This entry was posted in Saints and tagged Catholic, Missionaries, Saints. Bookmark the permalink.